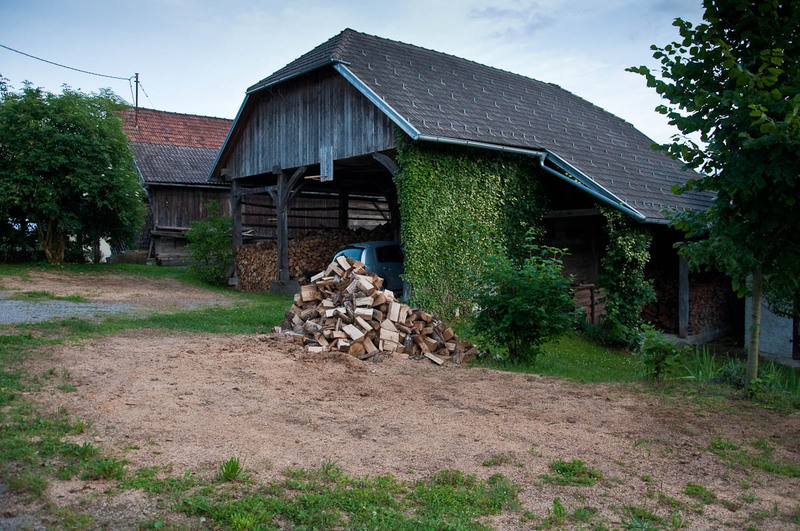 As we were driving through the hilly, lush and unspoiled land of Slovenia – Europe’s best kept secret – huge structures made of wood and stone kept catching my eye. Picturesque villages followed one another in a constant stream of large houses adorned with handcarved wooden shutters and doors and hugged by wide verandas dripping with potted flowers. 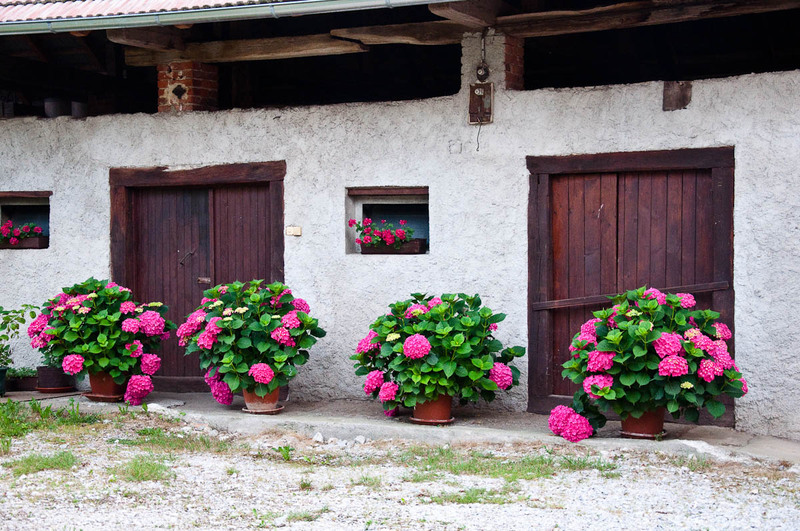 Carefully maintained flower gardens and vegetable patches added to the feeling of domestic idyll. Everything was clean and neat, touched by the careful hand of a houseproud Slovenian. Yet what charmed me the most were the large expansive buildings positioned either right next to or behind each lovely home. ‘What are those?’, I asked myself. 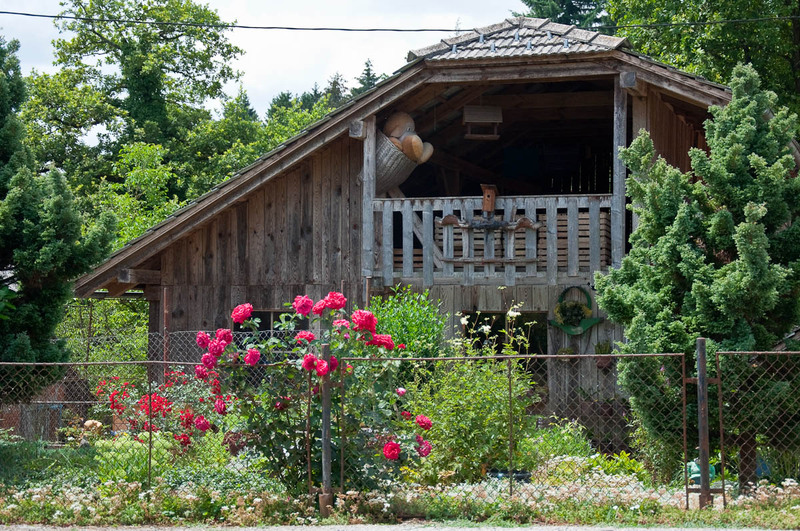 They seemed like an artistic vision of a barn – each with its own design. Often they were very tall, seemingly two- or even three-storey high. The ground floor was sometimes made of brick and stones and then the upper floors had tall lathed walls. Through the gaps between the individual laths I could see bales of hays sticking out, ready for the farm animals to feast on. The roofs were tall and peaked with sloped sides reaching almost all the way to the ground. 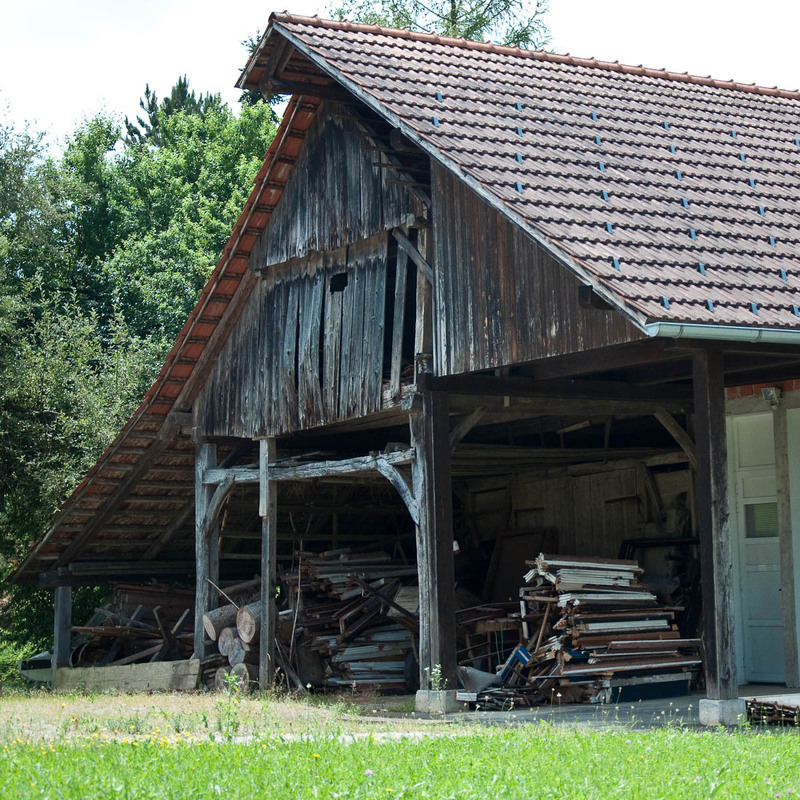 Seemingly, these large and full of character structures were used for storage. 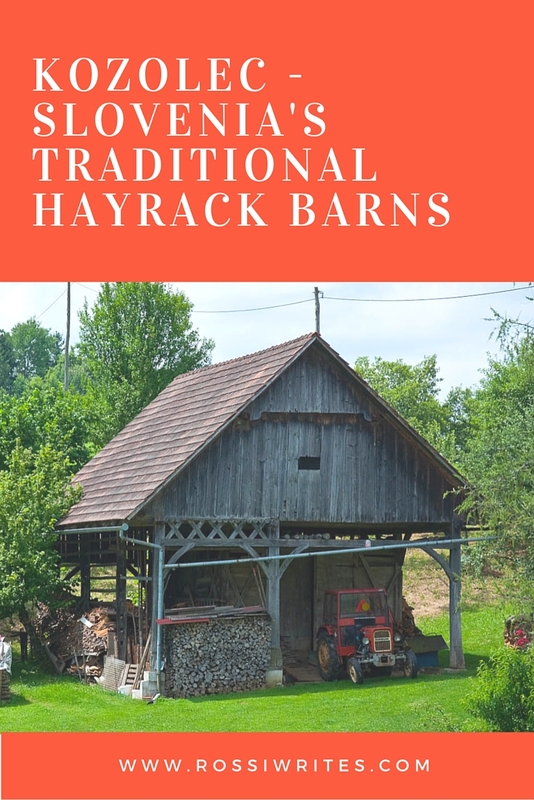 Apart from hay, they housed all sorts of farm machinery (even tractors, yes), the family car, thick logs to heat the house when winter comes and large bags with corn. 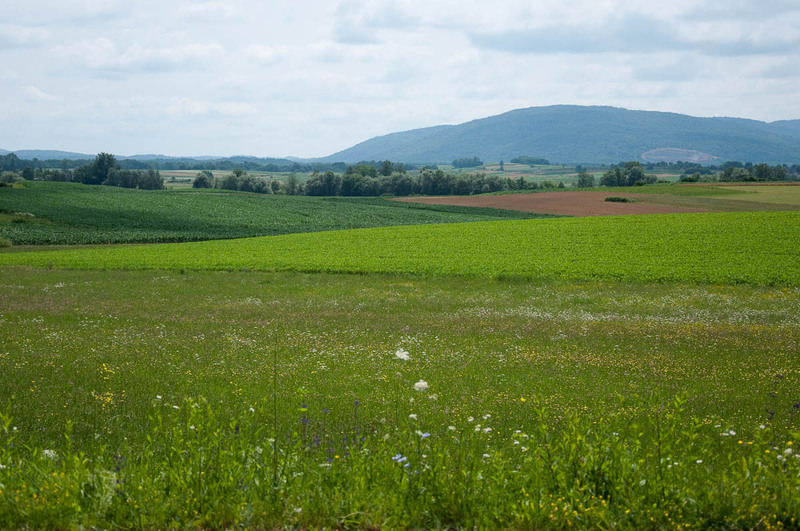 ‘What are those buildings?’, I asked a Slovenian couple we had met by chance whilst exploring their beautiful land. ‘Oh, these are kozolec‘, the man replied. The word comes from ‘kozel‘ meaning ‘goat’ in Slovenian. 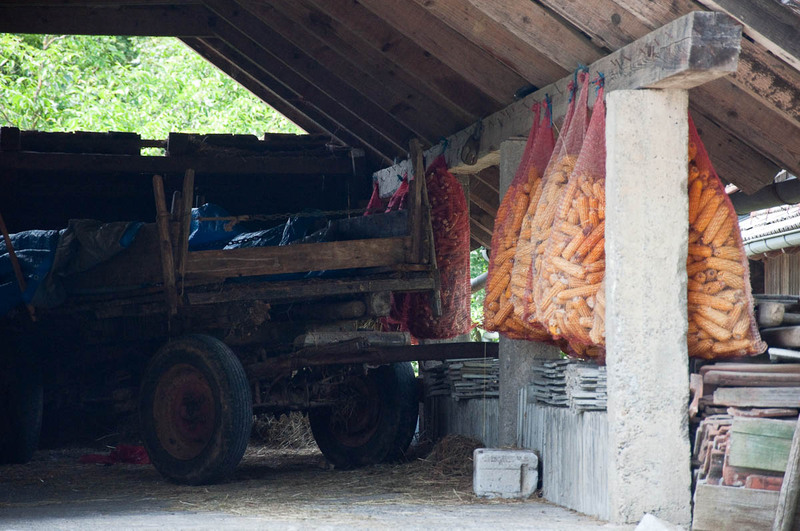 A kozolec is a hayrack – a vertical drying rack on which animal fodder like hay and corn is dried. 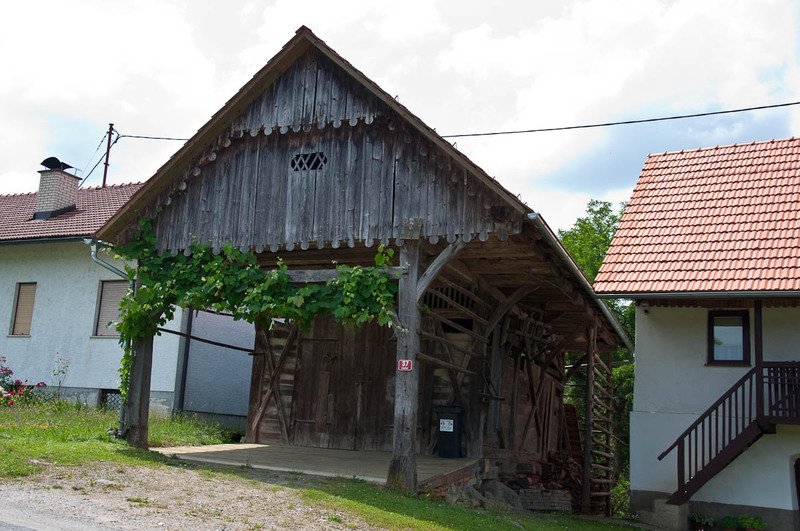 They are typical for Slovenia and with time have evolved into proper intricate barns the construction of which reflects local building traditions and artistic vision. ‘A very good house in this region of Slovenia will perhaps set you back around 80 thousand euros’, the man said. ‘What about the capital, Ljubljana?’, I asked. ‘The property there is really expensive’, he replied. ‘You will need around 150 thousand euros for a house or a flat. I haven’t checked the prices he quoted, so don’t take them as a fact. 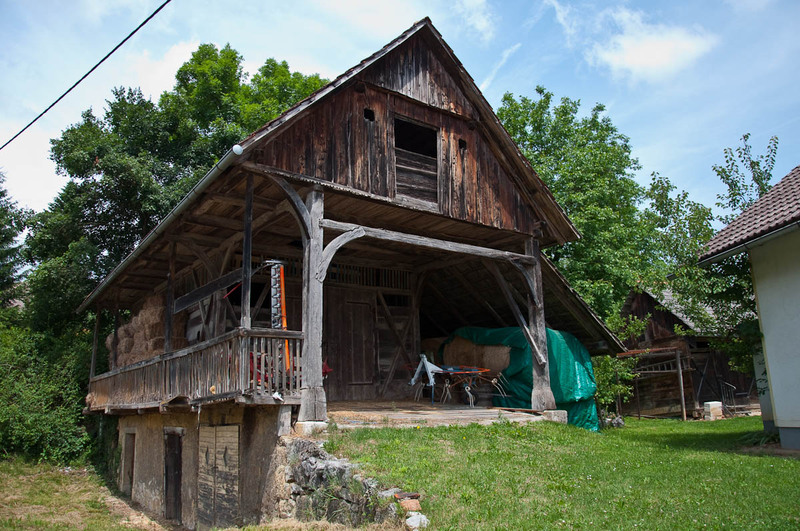 Still, 80 thousand euros for a big house and, above all, one with a kozolec attached to it, is not bad at all! I just felt how Marostica, the then current favourite in my ‘Top Retirement Places’ chart quietly slipped down the ranks. What am I going to use the kozolez for if in twenty or thirty years (or forty, you never know, the retirement age keeps getting pushed back nowadays), I actually don’t know. Apparently, you can sleep in them, comfortably spread over the bales of hay drying up on the top floor. Or I can use it to store things, like in the case of this splendid kozolec where they had used it to store a rather huge plush toy. Can you spot it? 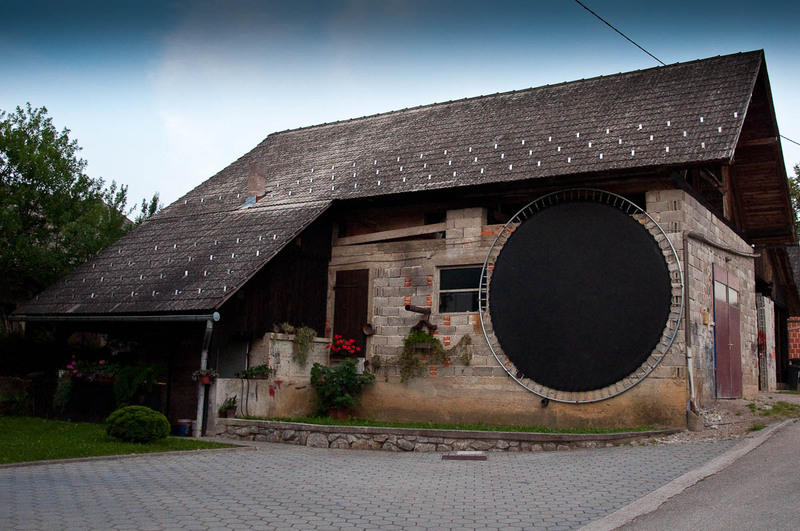 The best use I saw for a kozolec though was as a support for a huge trampoline. Definitely something I can see doing in my old age. What would you like to do in your old age? Let me know!